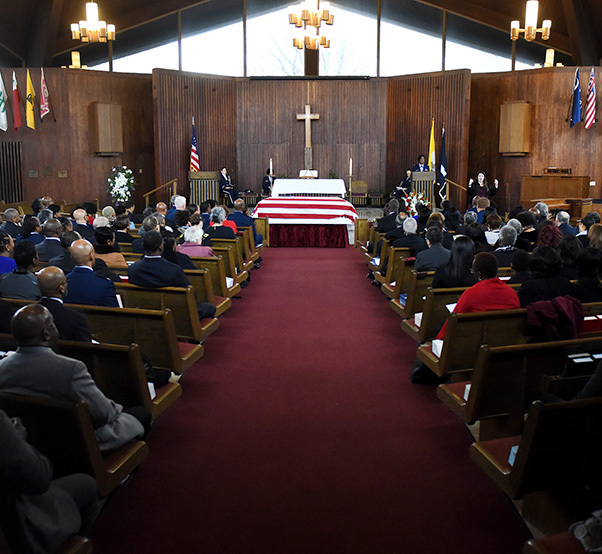 Friends and family of retired U.S. Air Force Maj. Gen. Marcelite Harris attend her full honors military funeral at Arlington National Cemetery, Arlington, Va., Feb. 7, 2019. 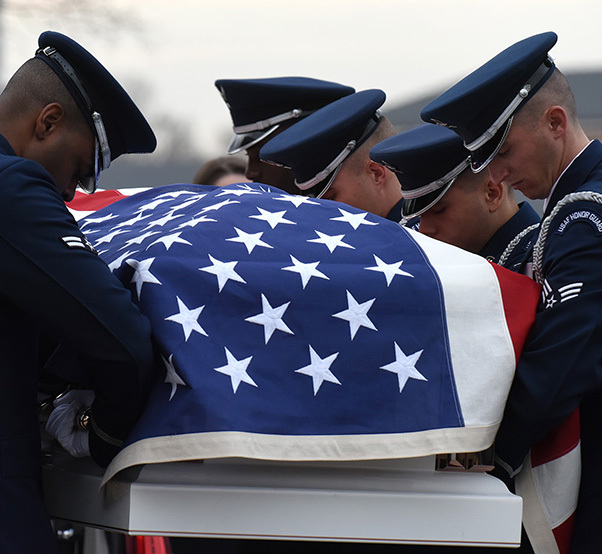 Harris’s accomplishments include being the first woman aircraft maintenance officer, one of the first two women air officers commanding at the U.S. Air Force Academy and the first woman deputy commander for maintenance. She also served as a White House social aide during the Carter administration. 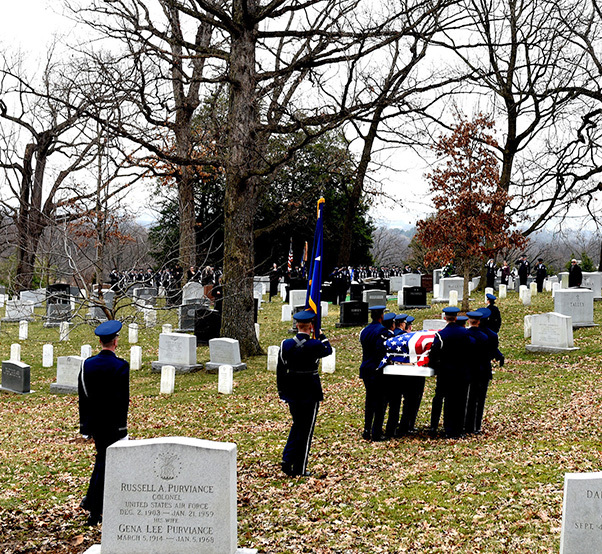 During Harris’s life and Air Force career, she accomplished multiple crowning achievements. After receiving her commission through Officer Training School at Lackland Air Force Base, Texas, in 1965, she ventured into her first assignment as the assistant director for administration for the 60th Airlift Wing at Travis AFB, Calif. She then completed a tour in West Germany in 1971 before enrolling in the Aircraft Maintenance Officer Course at Chanute AFB, Ill. After graduating, she was named aircraft maintenance officer — the first woman to ever hold the title. 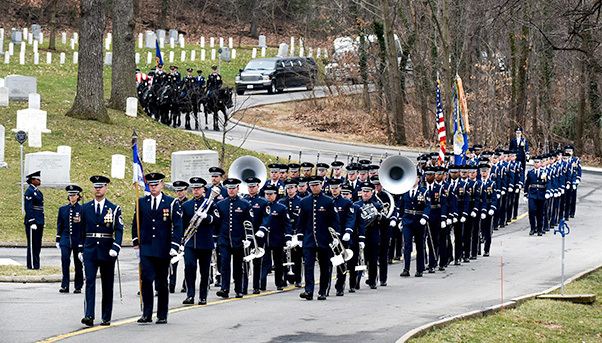 The U.S. Air Force Honor Guard performs full military honors during the funeral of retired U.S. Air Force Maj. Gen. Marcelite Harris at Arlington National Cemetery, Arlington, Va., Feb. 7, 2019. In 1991, Harris became the first African-American women to earn the rank of brigadier general in the U.S. Air Force. 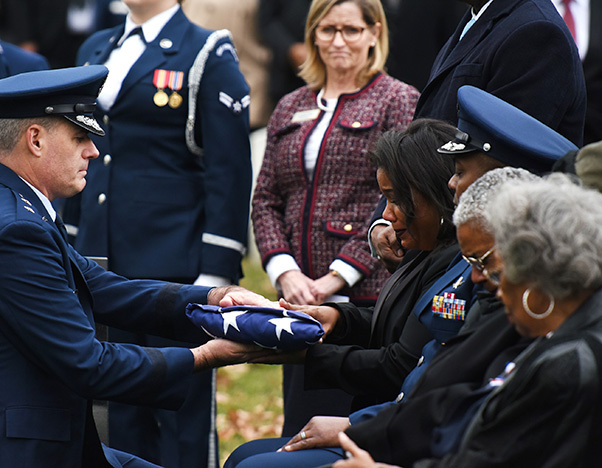 U.S. Air Force Maj. Gen. Lenny Richoux, the commander of U.S. Transportation Command’s Joint Enabling Capabilities Command, presents the American Flag to retired U.S. Air Force Maj. Gen. Mareclite Harris’s daughter, Tenecia Harris, during a full honors funeral at Arlington National Cemetery, Arlington, Va., Feb. 7, 2019. 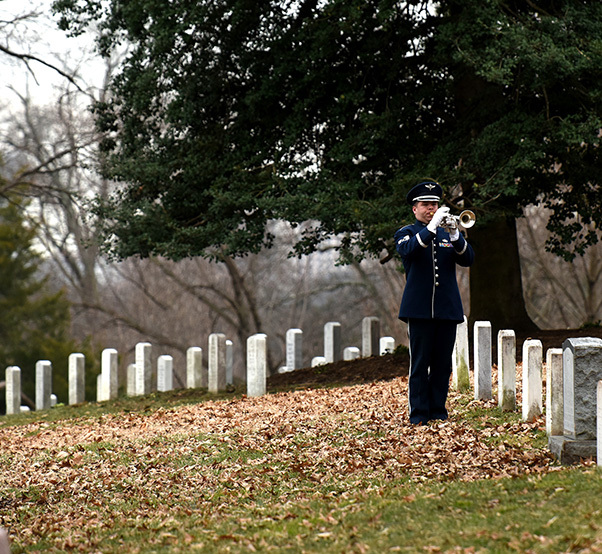 A caisson delivers the remains of retired U.S. Air Force Maj. Gen. Marcelite Harris during her full honors funeral at Arlington National Cemetery, Arlington, Va., Feb. 7, 2019. In 1991, Harris became the first African-American women to earn the rank of brigadier general in the U.S. Air Force.